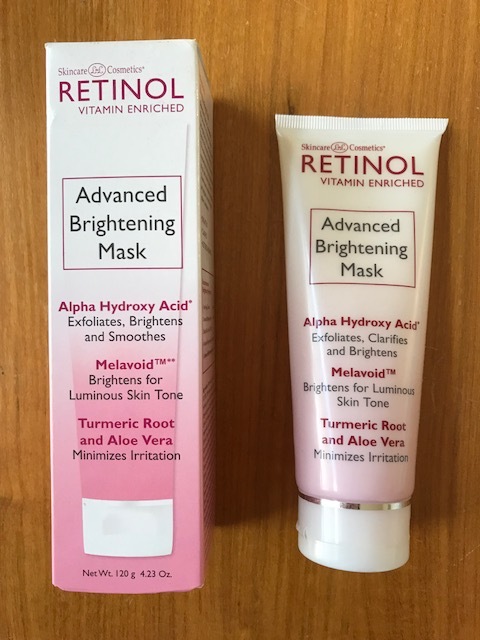 SKINCARE COSMETICS has just unleashed their RETINOL ADVANCED BRIGHTENING MASK. It has all the right ingredients to get you a smooth, clear complexion. This RETINOL ADVANCED BRIGHTENING MASK from SKINCARE COSMETICS is a result of their pioneering efforts of retinol-based anti-aging skincare. They now introduce Retinol Advance Brightening. This new innovation in skincare improves the clarity and appearance of dull and uneven skin tone. These focused products revitalize and brighten to reveal an even, radiant complexion. This Advanced brightening mask is nice and refreshing when you apply it to your face and it leaves you with softer skin and a more radiant complexion. Because of its potency, use this mask only once or twice a week. Spread a thick layer all over your face, avoiding the eye area and lips. Leave it on for about 15 minutes and rinse with warm water. You’ll notice this mask brightens, exfoliates and dissolves dull skin for an immediate, luminous glow.